Today, it was announced that Billy Crystal will host the upcoming Oscar’s in place of Eddie Murphy. After months of hype about Murphy’s involvement, the legendary actor and comedian decided to pull out of the show after producer Brett Ratner left the show due to using a gay slur over the weekend. A big part of why Murphy agreed to do the show was because he would be working with Ratner. 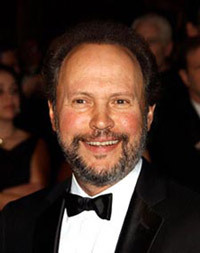 As a result of the controversy, The Academy of Motion Picture Arts and Sciences called up Billy Crystal, who has hosted the show before, to get the actor to take over this year. Crystal quickly agreed and became a part of the show. Crystal hosted the show first in 1990, when the Oscar’s drew over forty million viewers. He would continue to host in 1991, 1992, 1993, 1997, 1998, and 2004. Crystal has always been a fan favorite. Now at 63, it is being debated if younger audiences will welcome him as warmly as in the past. But as a veteran of the game, Crystal’s ability to connect with an audience is spectacular. The Oscars will be held on February 26th, 2012. Yayyyyyyy Billy Crystal! A back alley act, to a Class ACT Period!